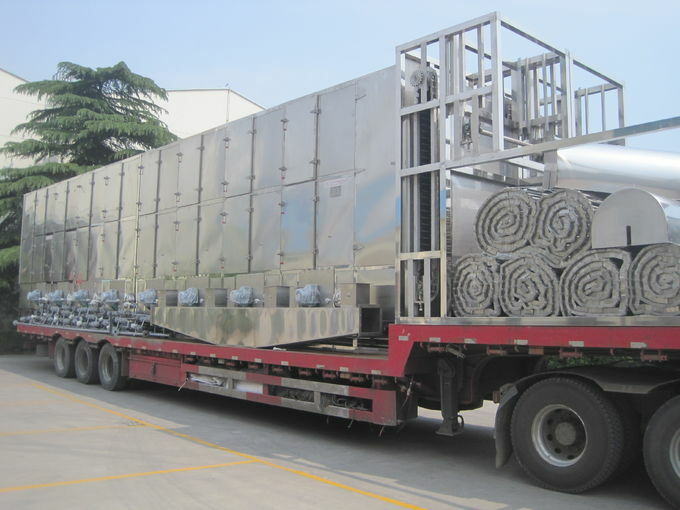 Vegetable dryer is based on years of experience accumulated by our company and integrated the advantages of advanced equipment abroad. The whole equipment is manufactured with stainless steel based on the exporter foodstuff sanitation standard exactly. The processing line is scientific designed,well manufactured,reasonable layout, reliable running,and high-robotization which is widely used in the vegetable dewatering. Sutiableproducts:cabbage,cauliflower,spinach,greenfrocery,scallion,garlic, bean sprout, carrot, agaric,ginger, kelp ect.. The belt type drying machine has a box type structure. The box is provided with single layer or multiple layers of conveying belts. The belt type drying machine includes: single-layer belt type with the commonly-used drying area specification of 20 M²,used in two sections or three sections. The temperature can be controlled in different sections and can be automatically adjusted according to the settings. multi-layer belt type(turning plate type). The conveying belt can be screen mesh or turning plate. 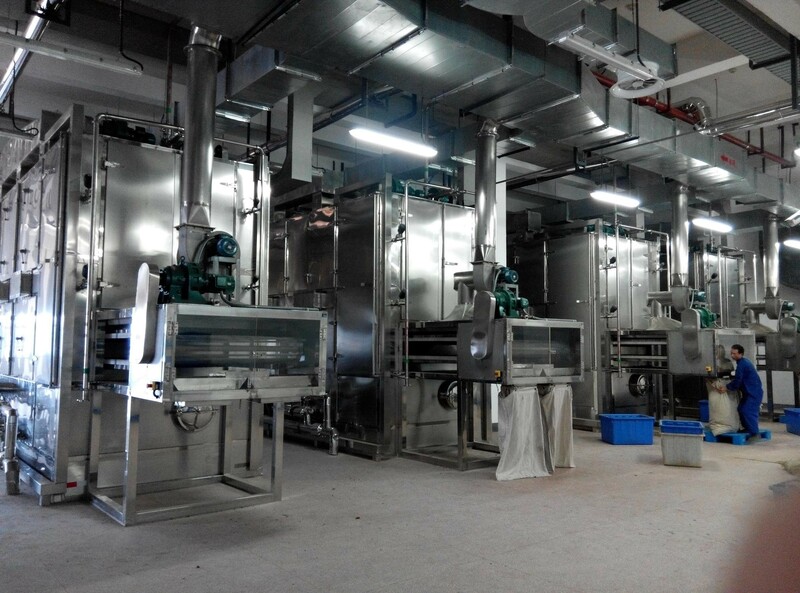 The commonly-used drying area specifications are25 M²and 60 M².The conveying speed and fan volume of the drying machine adopt frequency conversion stepless speed adjustment to meet drying requirements of different materials. ◆ Most hot air is circulated in the cabinet, heat efficiency is high and save energy. ◆ Use forced ventilation and cross flow type drying principle, there are air distribution plates in the cabinet and material is dried uniformly. ◆ Low noise, stable operating, self-control temperature and convenience to install and maintain. De-watering vegetable, particle feed, gourmet powder, shredded coconut stuffing, organic color, compound rubber, medicine product, medicine material, small wooden product, plastic product, aging and solidification for the electronic component and device..